On this date in 1907, Edgar Rice Burroughs was promoted to manage the Stenographic Department of Sears, Roebuck & Co. Writing prompt: Write a scene in which your protagonist starts a great job s/he will regret forever. “I confess that in 1901 I said to my brother Orville that man would not fly for fifty years.” -Wilbur Wright, born on this date in 1867. Writing prompt: Write a scene in which a statement your protagonist made years before comes back to haunt her/him. 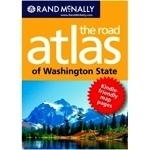 On this date in 1924, Rand McNally released its first road atlas of the United States. Writing prompt: Write a scene in which your protagonist finds him/herself in mortal jeopardy because a map isn’t accurate. The Human Genome Project was completed on this date in 2003. Writing prompt: Write a scene in which your protagonist’s parents describe how their culture originally explained hereditary traits. 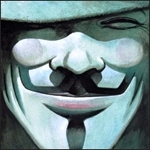 “A desperate disease requires a dangerous remedy.” -Guy Fawkes, born on this date in 1570. Writing prompt: Write a scene in which your protagonist to declares her/his opinion about a plot to kill a leader to a friend who responds unexpectedly. 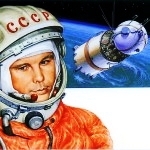 On this date in 1961, the Soviet Union launched the first manned spacecraft with cosmonaut Yuri Gagarin aboard. Writing prompt: Write a scene in which your protagonist is the first person ever to accomplish something spectacularly dangerous.